Sell out-of-stock products in advance. Offer special discounts for pre-orders. Provide pre-orders with on-sale date notes. Easily monitor pre-orders on the orders grid and information page. Set the maximum quantity of a product for pre-order. Allow customers to place out-of-stock and available products in one cart. You needn’t disable sold out products anymore. Nor need you immerse your customers into eager anticipation of a tardy notification “Your bookmarked item is on sale now.” And thus lose your clients and profit because of untimely restocking. 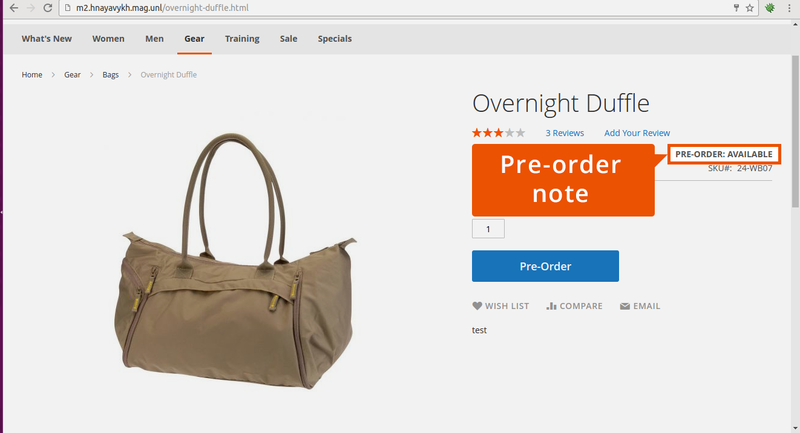 With Magento Pre Order Extension you can sell the out-of-stock products in advance, easily replacing the “Add to cart” button with “Pre-order”. Your customers may enjoy the usual way of shopping in your store paying for both in-stock and “pre-ordered” items simultaneously added to their carts. Every e-store owner faces a challenge of retaining customers. It’s hardly helpful for you business when out-of-stock products are not available for making order. As in most cases customers will abandon you in favor of the other vendor. With Magento Pre Order Extension you can get payments for both in-stock and “pre-ordered” items. You can stimulate your customers to buy not available products in advance by giving special discounts. You may also add a pre-order note about the expected on-sale date. 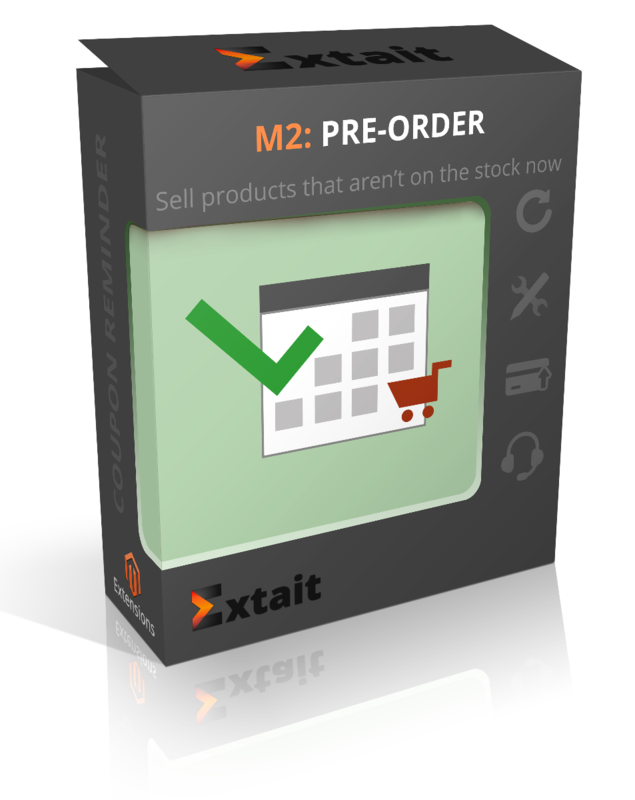 Easily manage and monitor all your orders and pre-orders in the admin panel. Filter them by status (pending, processing, closed) to get a quick overview. Additionally, it’s possible to set the limit for a particular product to be allowed for ‘pre-order’. Put the ‘Pre-order’ on the products that are available for selling in advance. By this, customers can quickly identify such products in the catalog, on the wishlist, product and compare pages. Clicking this button, customers easily buy out-of-stock products. If you expect to add 30 new product units to your inventory change a product status to ‘Pre-order’ and specify its quantity limit. When 30 pre-orders are made, the product will either disappear from your catalog or become unavailable for orders. If you’d like to sell an unlimited number of this product, set its status as ‘Pre-order when out of stock’. You may quickly view and manage all pre-orders by filtering their statuses ‘Pending Pre-order’, ‘Processing Pre-order’. Pending Pre-order - the store receives the client’s order and will start its processing. Processing Pre-order – the order is processing while the product is expected for sale. Add pre-order and supply notes to inform your customers when exactly a product is expected to be on sale. Admin can apply one general supply note for all pre-ordered products or specify a separate supply date for a particular product. Allow customers to place mixed orders in one cart. No matter what type of items (order, pre-order, mixed) a customer can pay for them simultaneously. Create discounts to stimulate customers to buy products in advance. Specify time periods and the discount percentage depending on the number of days left to supply date. So, the earlier a pre-order is made, the higher discount is. All these discounts are possible to be managed on the Cart Price Rules grid. The extension supports all types of products – simple, downloadable, virtual, configurable, bundle and grouped products. When a customer chooses the necessary parameters the extension shows whether the selected options are available for pre-order. The field name with pre-order statuses has been corrected. The text field "Pre-order note" of a product has been fixed.